So, since I skipped last week due to the lack of finishes/ progress and holiday.. here I am! So far this week seems to be mostly about cutting up fabric for the various projects I want to do, then no sewing them back together.. somethings wrong with this picture! Still waiting on some more fabric, but this is how the pile has sat since Sunday. I finally cut into my Ruby layer cake and laid out the pieces..
Then I lost stamina and couldn't start piecing..
Luckily! I have purchased a flannel backed tablecloth earlier that day and the top 4 rows are on that.. It took me so LONG to place all the pieces, I would have hated to do it again! (This was supposed to be my "design wall" of sorts, but I'm lacking a wall to put it on! any observant people notice the top left corner? only.. 100 more to go? oy. My brain is in a fog these days, so i'm sure I forgot some things, but thats the gist of this week..
Hopefully you're all having more success than me! 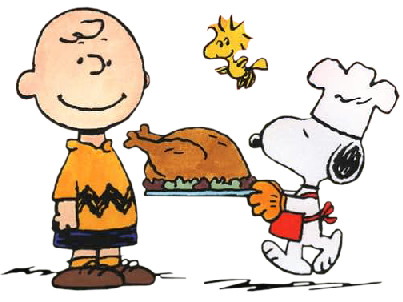 Oh, anyone else realize December 1 is TOMORROW. oy. mad rush to finish gifts can commence... NOW. but then with the holiday life took over, yadda yadda.. Anyway! I've been busy and I have some finishes to show you! first time i've done a double dresden and I really like how it turned out! 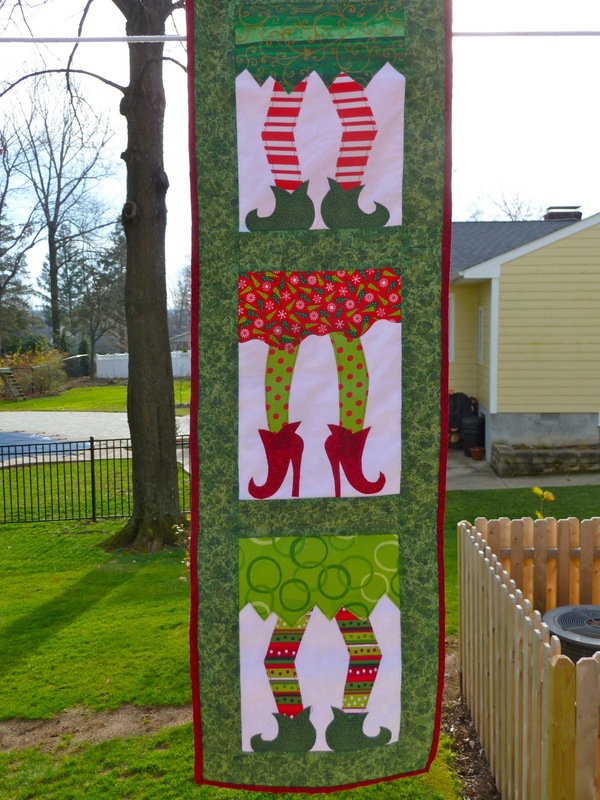 Then, I finished my elf wall hanging! Seriously, in love with this one, can't wait to hang it up! I also ATTEMPTED to FMQ the borders..
definitely need more practice, but I tried! acceptance is the first step? I also received some fun mail this past weekend!! 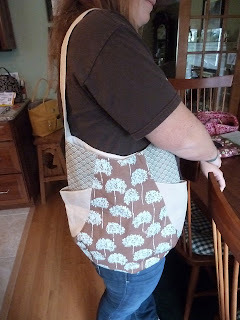 This weekend lacked any and all sewing prior to Sunday night. I had initially wanted to participate in the Friday night sew-in because I've been wanting to for ages! 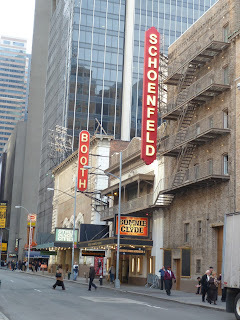 Sunday I was in NYC to see "Bonnie and Clyde" on Broadway! 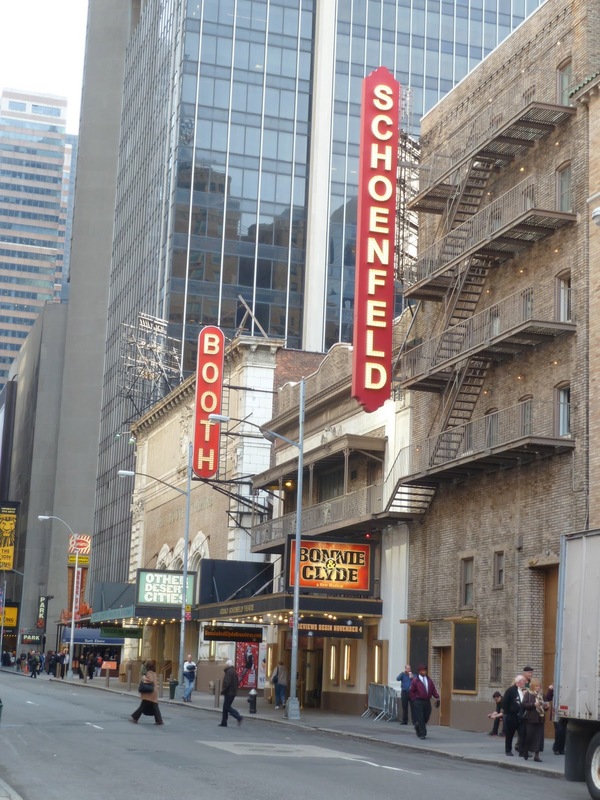 We had just seen Jeremy Jordan (who plays Clyde) in the Newsies in a smaller theatre and it was AMAZING -- there's talk of it making it to Broadway, if it does and you're in the are I fully recommend you go! We had a beautiful day of walking around and enjoyed the show! 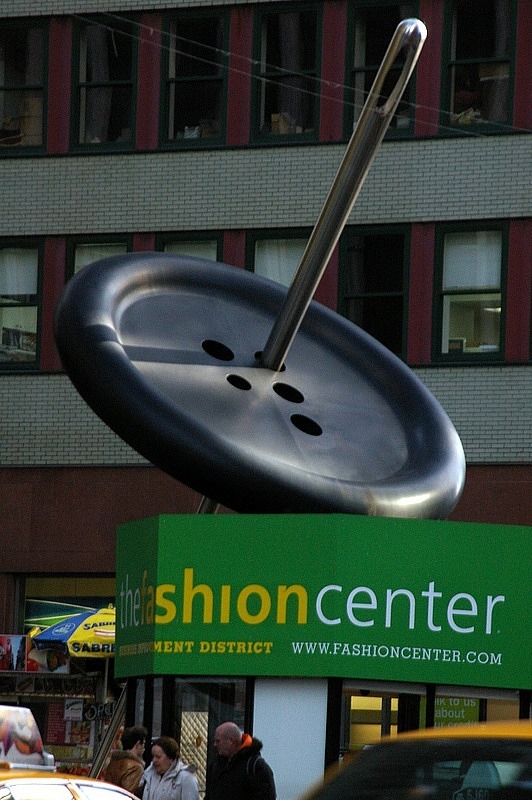 I knew we were in the vicinity of the garment district, but didn't know exactly where - I mentioned this to boyfriend and hinted we should check it out.. didn't work. As we were leaving we passed this..
AH! I have seen this in so many of my blog readings and I have wanted to check out the area.. Anyway, so Sunday night was devoted to finishing up these 3 lovelies.. According to my count that makes me 1 BLOCK away from being done! Later this week I'll show you them all laid out and ask for help! I need help deciding on my last block! Alright everyone, I have my FIRST tutorial.. I'm sure it's too wordy, the pictures aren't the best and many other things..
but hey, gotta start somewhere! The runner I will be showing you is approximately 56"x14.5"
I recommend reading through the tutorial first, then adjusting to meet your table needs. In advance, I apologize for the darker photos - if you have any questions/problems don't hesitate to contact me and i'll help in any way I can! Okay, so you're going to want to take your white fabric and cut (13) 1.5" by WOF inch strips. Sew all 9 of your holiday strips together with white strips. Press all of your strips open. I pressed them towards the holiday fabric, but whatever your preference will be fine. Your strips should measure 2.5 inches across. Take one of your strips and cut it into 2.5 inch squares. Continue cutting all of your strips in this way. Begin to lay out your runner. 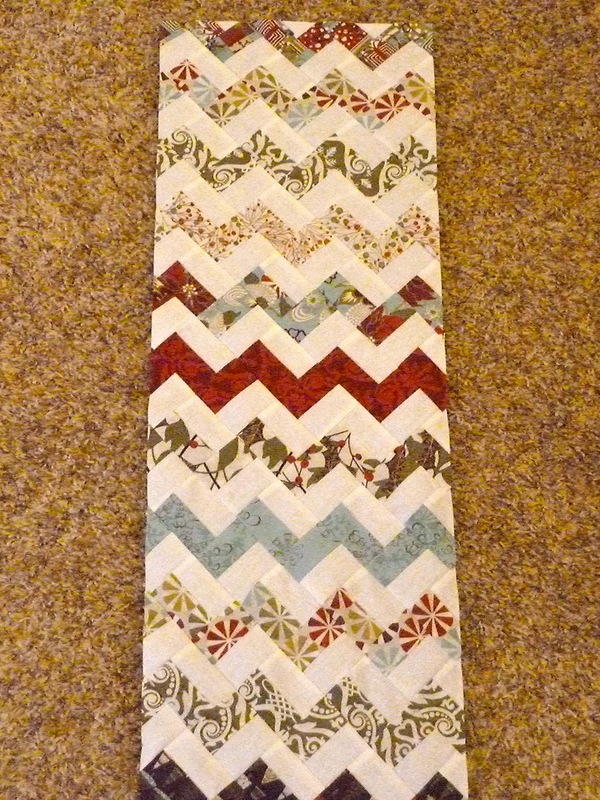 I used 8 squares per row which allowed me 2 rows per fabric pile. It will help avoid confusion. If you've ever sewed zig-zags before you know we'll be sewing on a diagonal. Start at the top right corner and sew the squares together to make your "rows"
I tend to like chain stitching, so I lay out my pieces in order.. again, up to individual preference! All of my "rows" sewn together. My pictures are going to move to the floor because my table was far too small! Just to show you how much it really shrinks down. Okay! "Rows" are ready to start combining!! We're going to work on a diagonal again and sew our rows together this way..
Be super careful and line up your fabrics! 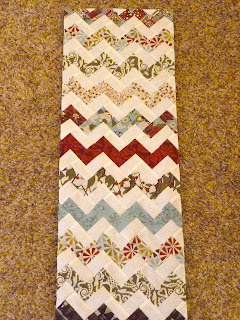 More lining up on the next row..
Again, personal preference to line up all my rows and pin them to chain sew. Once you have your rows sewn together, press them open. All lined up with our first sewn rows completed. 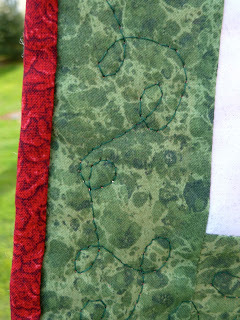 Continue lining up your pieces and sewing them together until your runner is completely sewn together! Okay, now we're going to square off the runner so it'll be nice and rectangular! Line up your ruler with the middle points and cut them off. Continue with the other sides, square as needed! 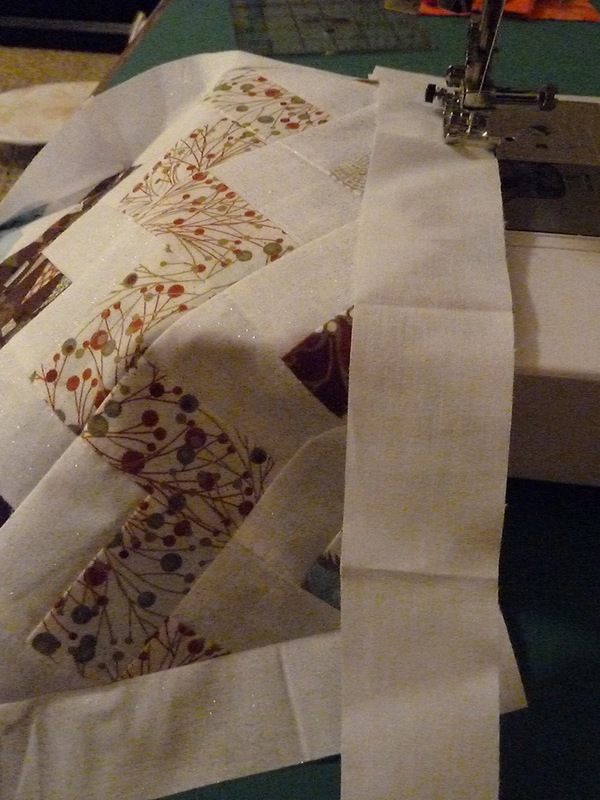 Once you get to this point you will take your 4 white strips leftover and sew on your first border. Any thoughts/questions about how I can improve this tutorial are greatly appreciated. 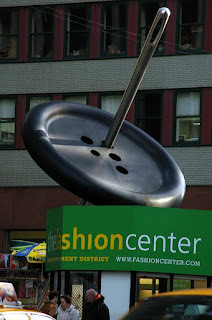 Copyright Knotted-Thread 2011. You are welcome to use these tutorials for personal use. You are not given permission to use my pictures or my words without giving me credit and linking back to the original and you are never allowed to copy an entire tutorial or post. Anyone copying or selling my tutorials is guilty of copyright infringement.